If there's one book we're all waiting for this year, it's Harper Lee's Go Set a Watchman. To celebrate the publication of this much anticipated follow-up to Lee's To Kill a Mockingbird, we're opening our doors to a limited number of readers for an evening of revelry, culminating in the first chance to buy Go Set a Watchman as the bells strike midnight. Spread across the Ground Level of our stately Charing Cross Road bookshop, we invite you to join us for this late-night celebration of all things Watchman with this chance to meet fellow fans, to remember what we love about Mockingbird and to get your hands on Go Set a Watchman before anyone else. 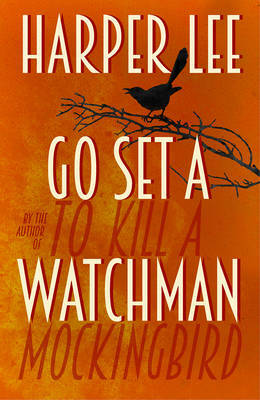 Set after the events of To Kill a Mockingbird, Lee's only other published work, Watchman was written in the 1950s and originally submitted to publishers before the author's Pulitzer-winning classic. Considered lost for decades, Go Set a Watchman is released on 14th July in what is, without doubt, the publishing event of the year. Attendees who reserve a place in advance will be entered in a prize draw to win a £100 Foyles Gift Card and a free copy of Go Set a Watchman. Just book your place before 12 noon on Monday 13th July, and arrive no later than 11:30pm on the evening of the event. Please note: Due to late-night licensing restrictions we will be unable to serve alcohol at this event. Tickets: Free, but reservation is essential. Simply add the required number to the basket below. Please note that no physical tickets will be issued; the email confirmation you will receive is proof of your booking. In the build-up to Midnight Watchman, we're also screening the classic 1962 film adaptation of To Kill a Mockingbird. Ticket-holders to the screening are automatically allowed entrance to the Midnight Watchman event after the film has finished. Please note, however, due to the screening capacity of the venue, signing up for Midnight Watchman only does not allow entrance to the film screening. Click here for details and booking for the screening.